This past April the Alliance for Biking & Walking hosted a workshop on the campus of the University of Georgia. Designed for advocates seeking to make their communities more walkable, bikeable and livable, it attracted attendees from Alabama, Georgia and South Carolina. Some of these folks set their sights on building new multiuse trails and faced daunting tasks, including raising hundreds of thousands (and even millions) of dollars, identifying routes and developing design and engineering plans. By comparison, Savannah's already funded and designed Truman Linear Park Trail seemed to be miles ahead of other trail projects. And that makes the recent delays even more disappointing. A public information open house, scheduled for Nov. 7, was cancelled due to unresolved questions over long-term maintenance and ownership of the trail. 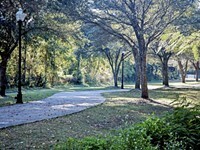 The City of Savannah has since signaled that it is willing to maintain the Truman Greenway, with some conditions, after completion of construction, which will be managed by Chatham County. An optimist might suggest this is an opportunity for city and county to resolve their differences and cooperate. The trail's namesake once said, "It is amazing what you can accomplish if you do not care who gets the credit." In this case, both the city and the county would share in the credit for delivering this beneficial asset. While memos are being sent back and forth between City Hall and the Old Courthouse at 124 Bull St., however, trails are moving forward elsewhere in the state. "Carrollton is building a Greenbelt, which is a multiuse path circling the city's downtown core," said Brent Buice, executive director of the Georgia Bikes! 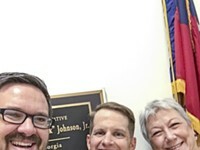 advocacy organization. "It's very popular and is seen as the keystone of redevelopment of their downtown area." An extension of the North Oconee Greenway in Athens is underway and within a year construction will begin on the first mile of a 40-mile rail trail that will link Downtown Athens with Union Point. "Everyone recognizes its economic development potential," Buice said. The scale of economic impact delivered by trails is becoming better understood as communities embrace the projects. A recently published study of Northwest Georgia's Silver Comet Trail revealed it attracts more than 2 million visitors per year, and "generates $57 million in annual direct spending, increases home values, and has helped revitalize once-struggling communities like Cedartown and Rockmart," according to Buice. "The Silver Comet Trail study shows beyond a shadow of a doubt that property values increase by an appreciable margin," Buice said. Nonetheless, another project has the potential to surpass it. "I would argue that Atlanta's Beltline is even more of a marquee project that has generated an unbelievable amount of economic development in places that were once forgotten and blighted," said Buice. 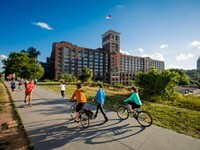 "It's seen both as a recreational amenity that draws tourists and a nonmotorized transportation cooridor for residents of Atlanta." Creating these types of corridors is the goal in other parts of the state as well. Earlier this month in Rome voters approved a SPLOST package that included $1.8 million for expansion of trails in Floyd County. According to Buice, the expansion will create a much-needed link between the Berry College campus and downtown Rome. Creating these types of connections is critical, according to Buice, and Columbus' Fall Line Trace trail is a good example. "Columbus completed one of the most dramatic urban multiuse paths in the state," Buice said. "It connects Columbus State University almost all the way to Downtown Columbus. The equivalent in Savannah would be a trail linking Armstrong Atlantic State University with Forsyth Park." 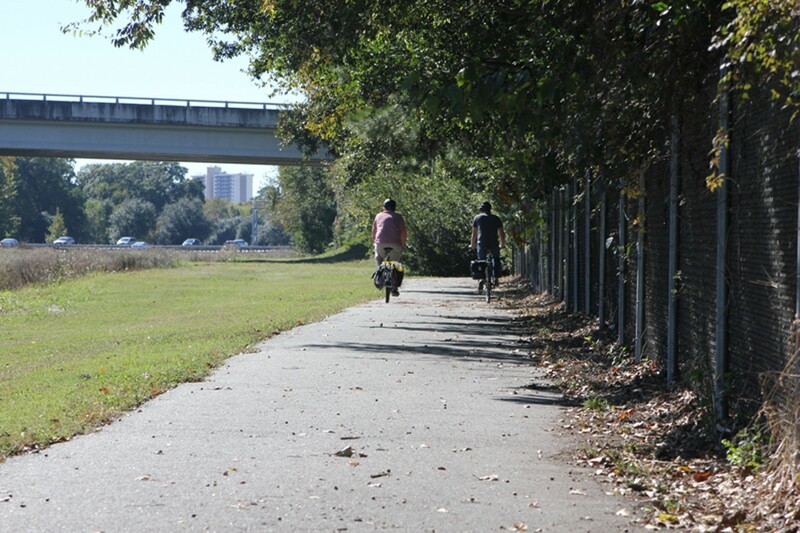 Savannah's Truman Greenway will be similarly dramatic, linking Daffin Park and Lake Mayer Park, two of the most popular recreational facilities in the county. And the connectivity doesn't stop there. From Daffin Park cyclists can continue their trips using the Washington Avenue bike lane, turn north on Habersham, then connect with the Lincoln Street bike lane, taking them into the heart of the Historic District. The return trip can be made by taking the Price Street bike lane to Washington Avenue. The benefits to neighborhoods along the route and the city as a whole are obvious. Still, Buice said, not everyone is a believer. At least not in the beginning. "When the project is successfully completed, then all the sudden the entire community recognizes it as an asset," he said. Even those who are skeptical initially often end up celebrating and even taking credit for it, he explained. It doesn't matter who takes credit for the Truman Greenway and I hope everyone who has been involved will be praised for their roles in the project. However, in order for that to happen, we have to start building it. We at Savannah Bicycle Campaign will continue our efforts to make sure that happens sooner rather than later.